ArcGIS field apps help you use the power of location to improve coordination and achieve operational efficiencies in field workforce activities. Reduce or even replace your reliance on paper. Ensure that everyone, in the field and the office, uses the same authoritative data so you can reduce errors, boost productivity, and save money. Select from a complete suite of apps to meet the specific needs of the back office and field workers. ArcGIS includes powerful mapping applications, ArcMap and ArcGIS Pro, that provide a common source of truth for planning field workforce operations. Think of it as a 360⁰ view between the field and back office. Create projects and assign tasks to field workers using streamlined workflows designed to boost efficiency, reduce downtime, and cut operational expenses. With Workforce for ArcGIS, dispatchers can assign work, and field workers can report work status back. Consistently meet deadlines by using the most efficient route so you can get there on time and get the job done. Get turn-by-turn directions, even for your private road networks, with Navigator for ArcGIS. Field data collection deserves a solution as specialized as the data it provides. 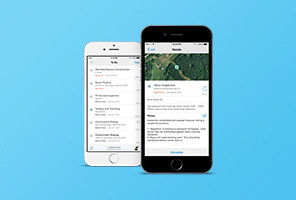 Put everything on the map—asset information, survey results, and imagery. Collect data against a map using Collector for ArcGIS. Turn drone-captured images into imagery products using Drone2Map for ArcGIS. Stay on top of your field operations by monitoring, tracking, and reporting real-time data feeds to focus on what matters most. Monitor field work status using Operations Dashboard for ArcGIS. Realize greater field operating efficiencies using any of these apps. Most of them come included with ArcGIS. 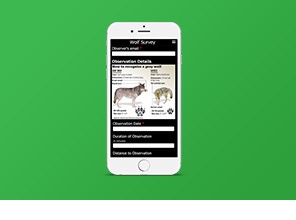 Efficient, accurate data collection on smartphones or tablets replaces paper forms. Respond, record, work on- or offline, and sync automatically. Improve workforce reliability. 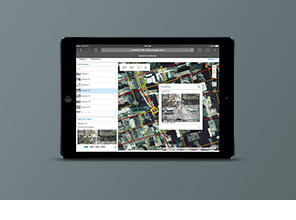 Navigate directly to assets even when offline. 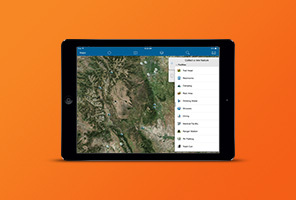 Interact seamlessly with Collector for ArcGIS and other apps to save time. Get a real-time view and common operating picture. Add data feeds to events or daily operations. 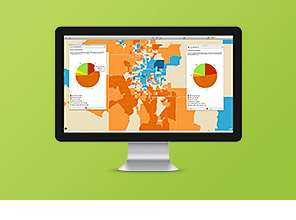 Integrate maps, charts, gauges, and histograms. Access asset data, search for places and features, or sketch on the map to highlight important aspects. Share useful maps with the public. Staff and apps can work together. Sync with other apps to get assignments, navigate to them, and collect data in one workflow, on one mobile device. Use a form-based survey interface in a lightweight, intuitive app. In just a few clicks you can collect, manage, and analyze survey results. Jumpstart your work with pre-configured apps for your industry. Choose from hundreds of focused apps, no coding required, to accomplish your industry specific workflows. Premium app. Requires an additional purchase.